(flexible screw conveyor) and control panel components. 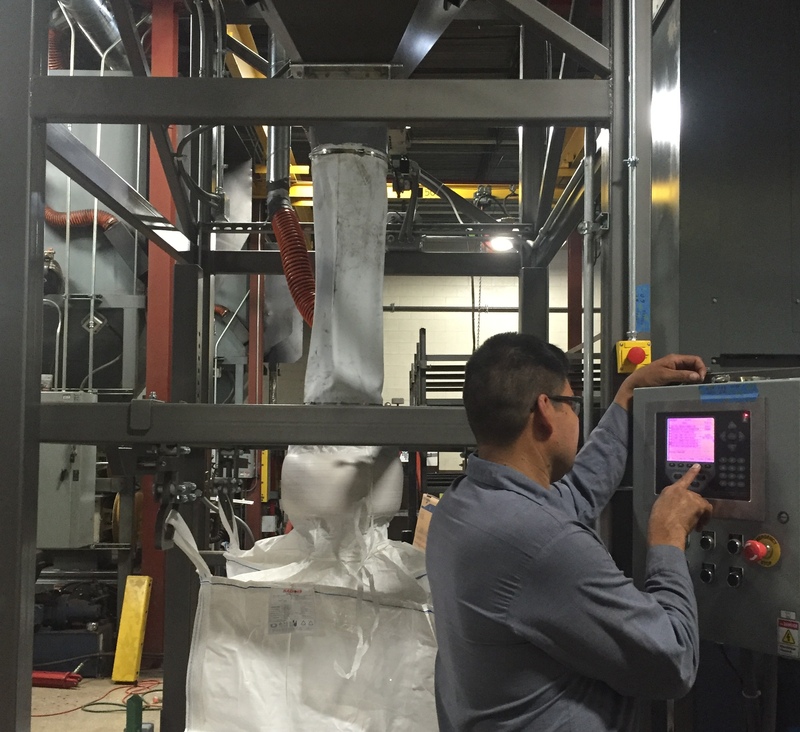 Bulk bag filling is a customized application, like bulk bag discharging. Each application can be very uniquely different. The bulk bag filling system shown in Fig. 2 is installed in a Peat processing system and incorporates PLC based controls with touchscreen graphic display as shown. 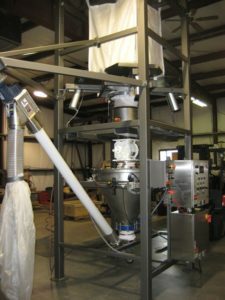 Sterling Systems & Controls, Inc. has 40+ years of experience providing efficient solutions for batching, micro, minor and bulk weighing, bag unloading systems, as well as plant automation. Sterling’s designs utilize the latest technology to provide specialized data management, raw material management, along with production data tracking. For more information contact Sterling Systems & Controls at 1-800-257-7214, sci@sterlingcontrols.com.